Trouble In Paradise? 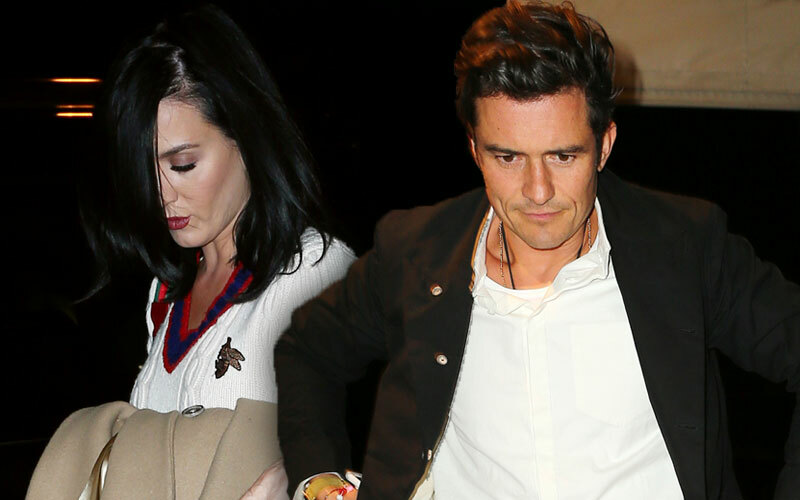 Katy Perry & Orlando Bloom Look Less Than Thrilled During Low-Key Date Night — See The Gloomy Pics! Are they next on the list of Hollywood breakups? Katy Perry and Orlando Bloom might be Hollywood’s hottest new couple, but they may be in trouble already! When the usually dynamic duo was spotted in the big apple, both A-listers looked less than thrilled. After a showing of "Hamilton," the couple seemed to be stripped of their usual bliss. While the Lord Of the Rings star left the play looking miserable in his casual jean and jacket ensemble, the "Roar" singer tried to her gloomy expression behind her dark locks. As Star readers know, the once golden couple is approaching their four month anniversary. They were first caught cozying up at the Golden Globes. Since then, the two have been roaming the world together looking happier than ever — they were even caught in a streamy make-out session! Do you think Katie and Orlando are going to break up? Tweet us your thoughts!